I was one of the lucky pattern-testers for the Elise blouse. The blouse comes in two versions. I chose the short sleeve version and finished the collar and sleeves with piping cord. 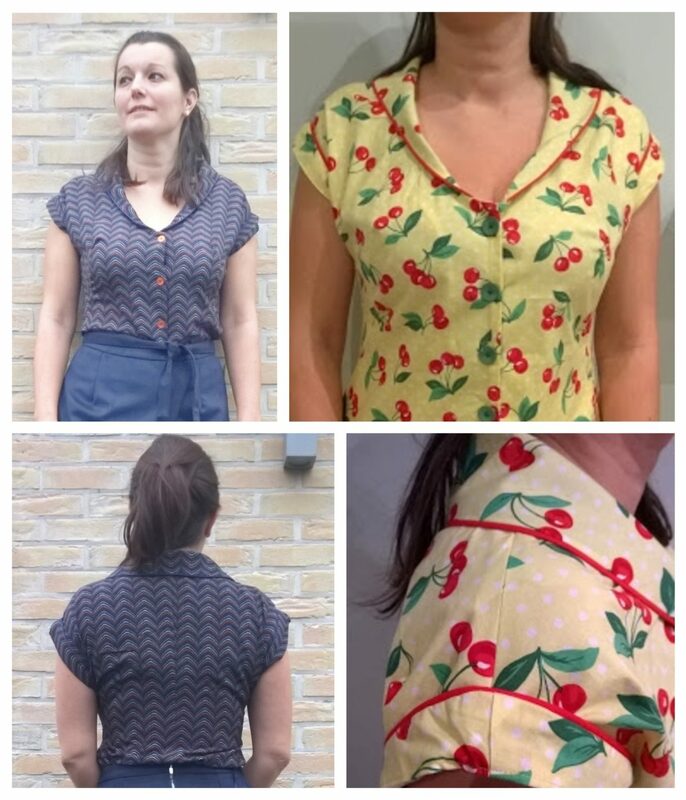 I made two version: One in crepe fabric from ‘Lucy has a secret’ and a cotton (see photo and my blogpost). I thought the blouse was really nice to make! The pattern comes with clear instructions and is easy to follow. Also, Esther will help you with any questions you migth have. A great lady with great patterns!